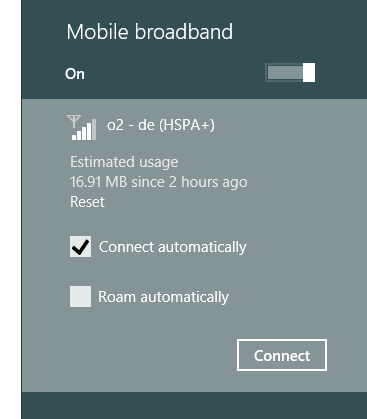 How to use the Windows 8.1 Hotspot feature. Up to 10 devices can use a Windows 8.1 hotspot (Technically called ICS – Internet Connection Sharing) and obviously you’ll need a Windows 8.1 (or newer) PC with 3G and WiFi capability. If that’s the case then there’s only two steps. 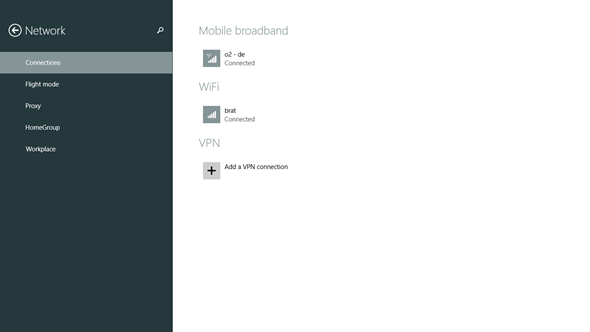 1 – Enable both WiFi and 3G. Make sure the 3G (or 4G) is connected to your carrier. Here you see the 3G connected to O2 at HSPA+ speed. 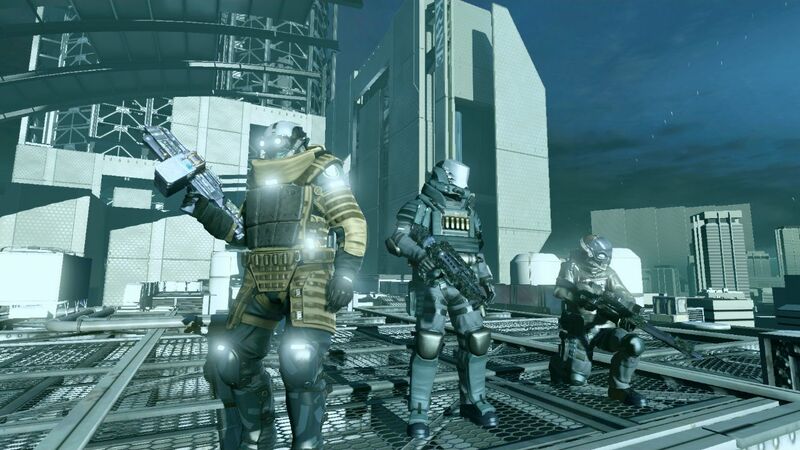 2 – Enable the hotspot. Swipe in from the right or point your mouse ion the bottom-right corner. Select ‘Settings’ from the charm bar and then , ‘Change PC Settings’ on the lower right of the menu. Look for ‘Network’ in the list on the left and select that. At the top there’s a slider under ‘Share this connection.’ Simply swipe it to the right. 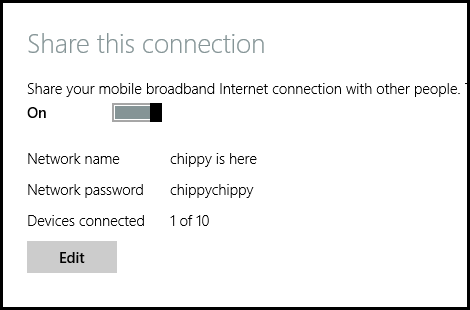 By default the network name (SSID) is the name of the PC and there’s a random (possibly!) password. You can select edit to change that. It takes 10-20 seconds before you’ll see it as a new hotspot. 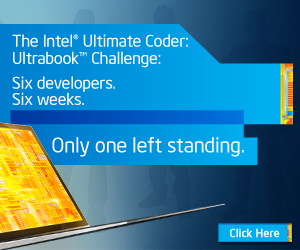 From this point on you’ll need to make sure your PC is left on…unless you have a PC capable of ‘Connected Standby’ or ‘InstantGo.’ All the Windows 8 tablets on the Clovertrail platform, a few new Ultrabooks on Haswell and most of the Baytrail-T tablets and 2-in-1 ones support this new feature. If you have this feature, feel free to touch the power button. 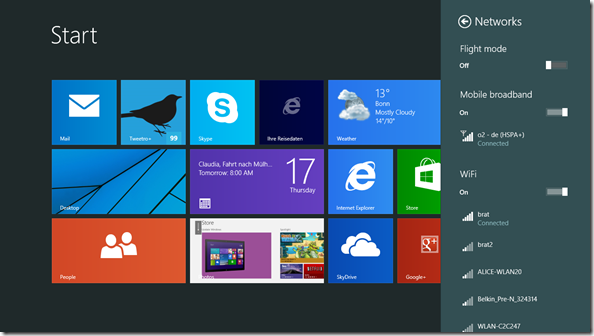 The device will go into a mode where Windows Modern apps continue to run. Note: If your 3G drops out it may not auto-reconnect. 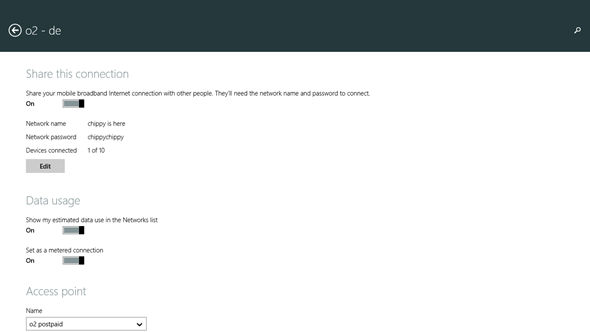 Make sure you select ‘ Connect automatically’ in the 3G network settings. Here’s a video showing the process and includes a demo of the InstantGo / Connected Standby mode. MyDigitalSSD sent over two of their BulletProof 4 SSDs for testing recently so I immediately took the opportunity to upgrade an older Toshiba Z830 Ultrabook. 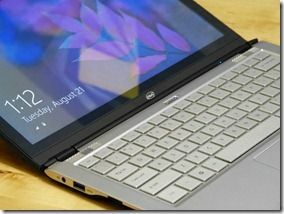 The difference was noticeable, but not as noticeable as the upgrade on the Acer Aspire V5-122P– an AMD-based low-cost Windows 8 touchscreen sub-notebook which was running a 500GB spinning hard drive. The difference has been amazing! I also attempted to upgrade the Samsung Series 5 but had some problems with that due to the method I used. Details on that below along with performance tests, images, tips and videos. 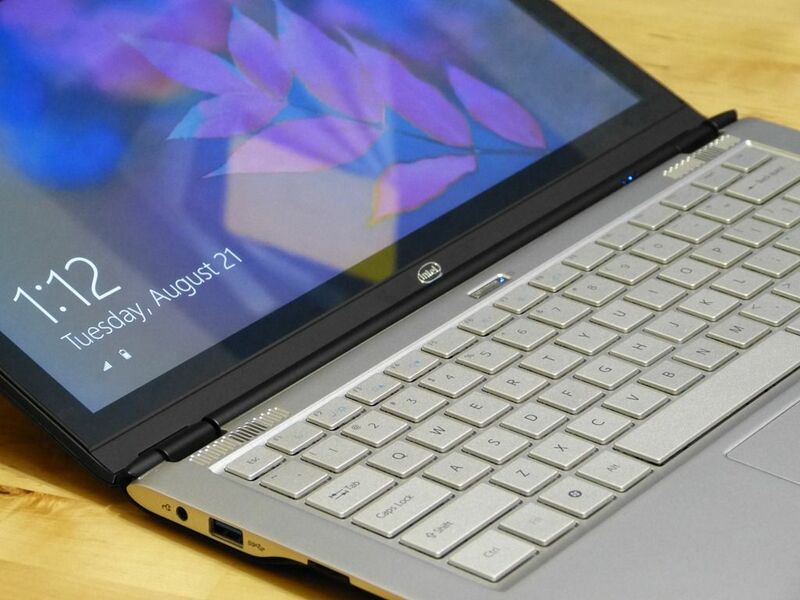 If you’re checking out specifications and features of Ultrabooks for a purchase soon, make sure you keep an eye out for Intel Centrino Wireless modules. 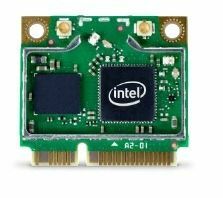 I’ve had very good experience with the Centrino 6230 module on two Ultrabooks now and having used Intel My WiFi tech today I can say that some of the features are extremely useful and easy to use. The Centrino 6230 module is a 2 antenna, dual-band (2.4Ghz and 5Ghz) Wifi unit with Bluetooth 3.0 + HS on-board. WiFi-n speeds go up to 300Mbps and I can confirm that stability and range is excellent. 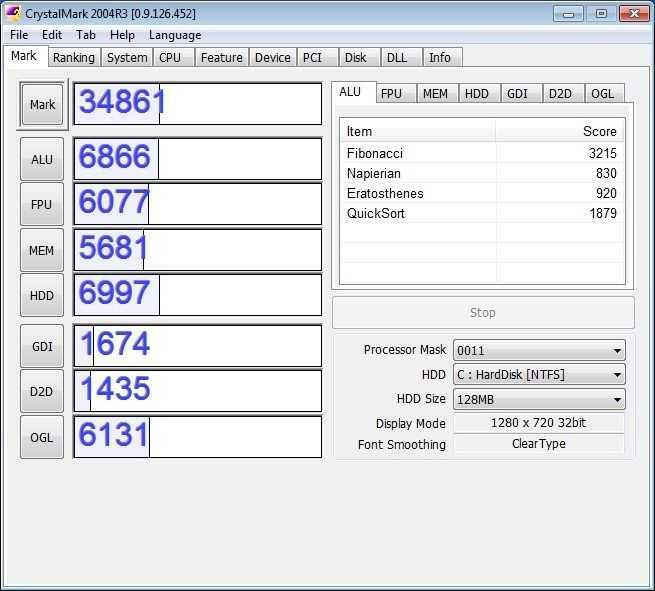 If you’re in a crowded hotspot, the 6230 could give you an advantage. The 6230 support Intel’s Wireless Display 2 functionality where, given a compatible receiver, TV or STB, you can transmit 1080p format images (Note: with some lossy compression I understand) wirelessly. I haven’t tested Wireless Display outside a trade show yet so I can’t tell you too much about it. I can tell you about My Wi-Fi though. In this article you find out how to do it and what you can do with it. 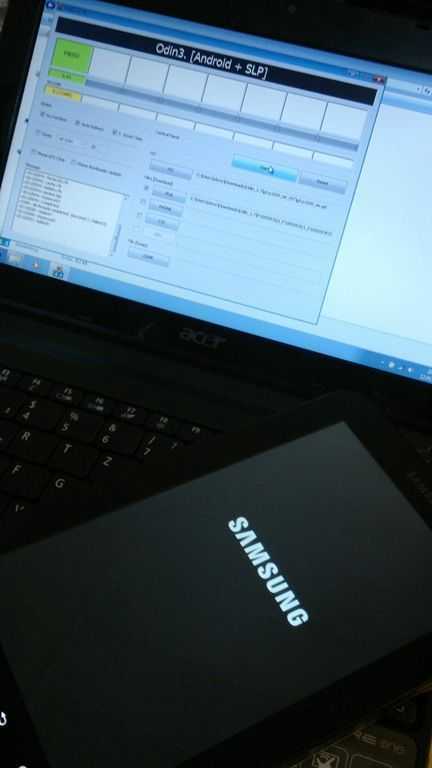 Last night I took the plunge and dumped the official 2.3.3 Gingerbread upgrade on my Galaxy Tab via the ‘side-loading’ method based on an copy of the firmware being rolled out in Europe (but not available here in Germany yet.) I used simple instructions from The Galaxy Tab Forum (Hat Tip XDA Developers) and flashed the firmware along with a full factory reset and spent about 4 hours late last night testing, restoring my apps and listening to music. The music wasn’t just for fun. Previous builds of the Galaxy Tab were never that good at being an MP3 player due to stuttering under load. I’m please to report that this problem has gone. I had 8 programs running to the point where even text input was failing but the audio kept-on playing. If you’re happy with your Tab right now I don’t recommend going the side-loading route to get Gingerbread. It’s easy but risky and for what you’re getting it’s not worth the risk. I’m not saying the upgrade is underwhelming, I’m just saying that the upgrade isn’t a huge one in terms of instantly noticeable changes. A new, lighter font, greets you and as you swipe down the notification area and then across home screens you’ll notice that it is super smooth but that’s pretty much it for obvious changes. The text select method has changed slightly (in-line with the new 2.3 text selection tool I beleive) but Samsung already had that on 2.2. They were also ahead of the curve on audio enhancements and a few other 2.3 features. There’s a few videos below showing part of the upgrade and a review of the upgrade below. Here are my notes so far. 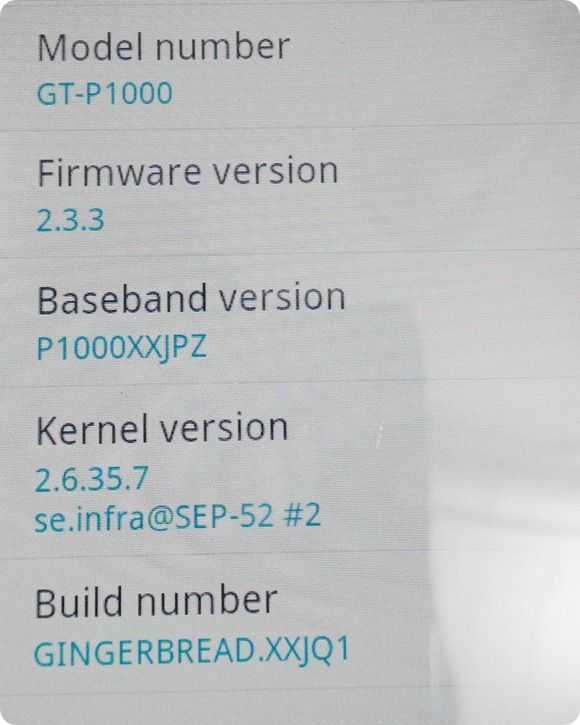 I should note that if you’re into ‘rooting’ your Galaxy Tab, please double-check that this upgrade doesn’t lock the bootloader. Smoother transitions in some areas. Noticeable in notifications area and browser scrolling. No truly noticeable web speed improvements. 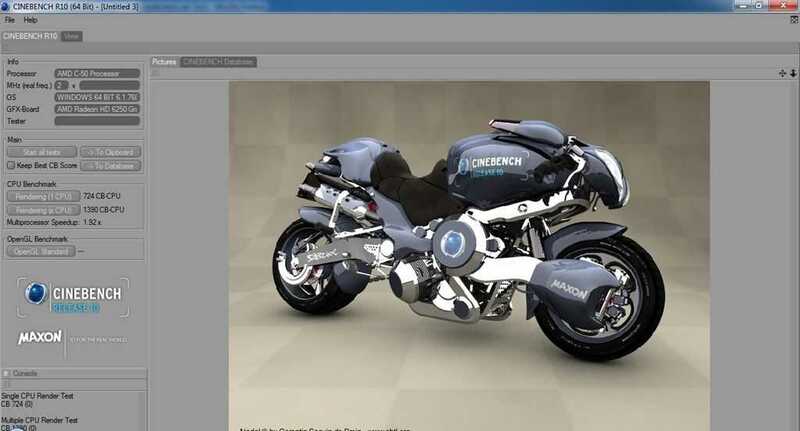 Some checkerboarding when scrolling quickly while page is loading. One user interface crash/reboot experienced after playing Need For Speed. Out-of-the-box, the Acer Aspire One 522 is a very decent netbook. 3D graphics and HD video support out-pace anything that’s built on an Intel platform and with a dual-core 1Ghz CPU that challenges the dual-core Atom at 1.5Ghz AND keeps the battery drain down to impressive levels, a 1280×720 screen and a reasonable build quality you have something of a bargain at 299 Euros but I wanted to see just how much I could get out of the Aspire One 522 if I pimped it out with a RAM, storage and OS upgrade. The results have been impressive; But there’s a limit. 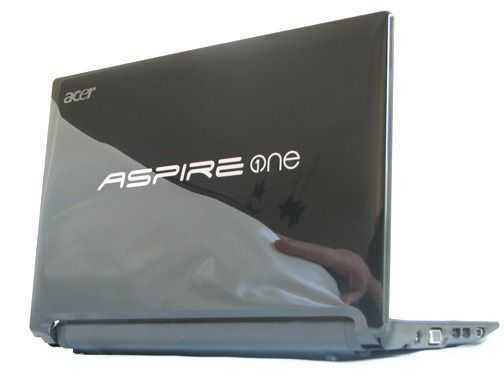 The Acer Aspire One 522 is built on the AMD Brazos platform with the Ontario APU. 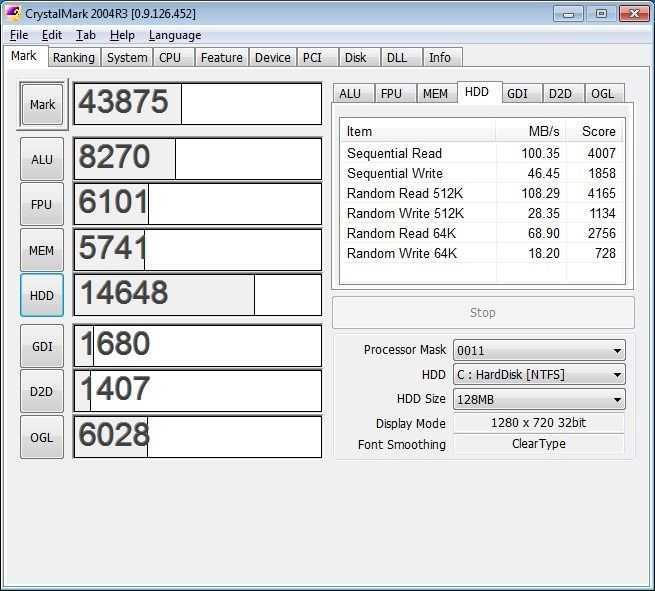 The CPU is a 64-bit part and supports 4GB of RAM. 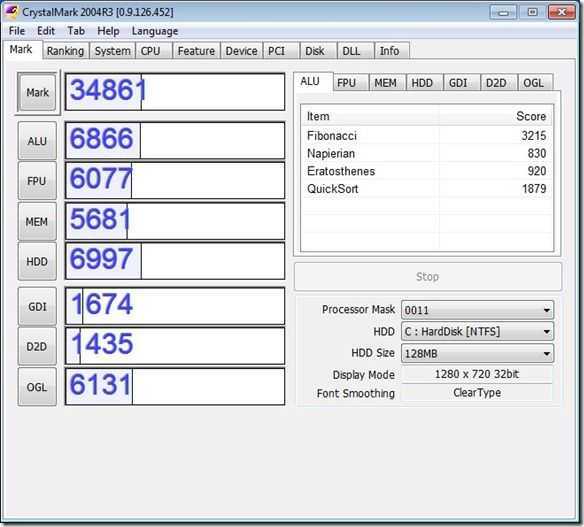 In the standard build, however, it is delivered with 32bit Windows Home Starter, and 1GB RAM. Even with a RAM upgrade it is OS-restricted to 2GB of RAM usage. Clearly an upgrade to Windows Home Premium 64bit with a clean install over 4GB of RAM is the easiest way to enhance the device. 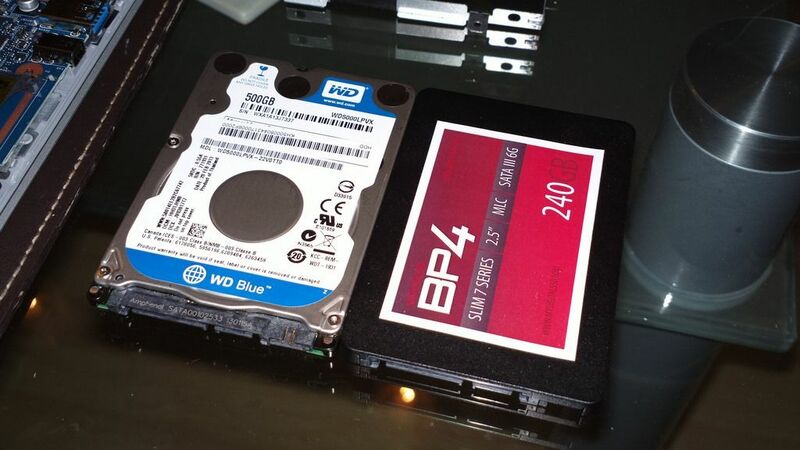 I spent about 125 Euro on a Home Premium license and a 4GB RAM stick to achieve that but before I did, I took a Runcore Pro IV 64GB SSD (2.5 inch SATA) worth $150 and dropped it in with a copy of the standard OS build. If I was to recommend just one upgrade, this would be it. The SSD cuts boot times and application startup times in half and gives the system a much better feel all-round. Lets take a look at the results using a CrystalMark test suite. Using CrystalMark 2003 (a simple, easy-to-run suite that I’ve been using for 5 years) I tested the stock system and came up with a respectable score all-round. In comparison, a Pinetrail â€“based netbook (Single-core 1.6Ghz) will turn in about 25K and a dual-core N550-based system like the Samsung N350 gives a similar 35K score but most of that score comes from the CPU. 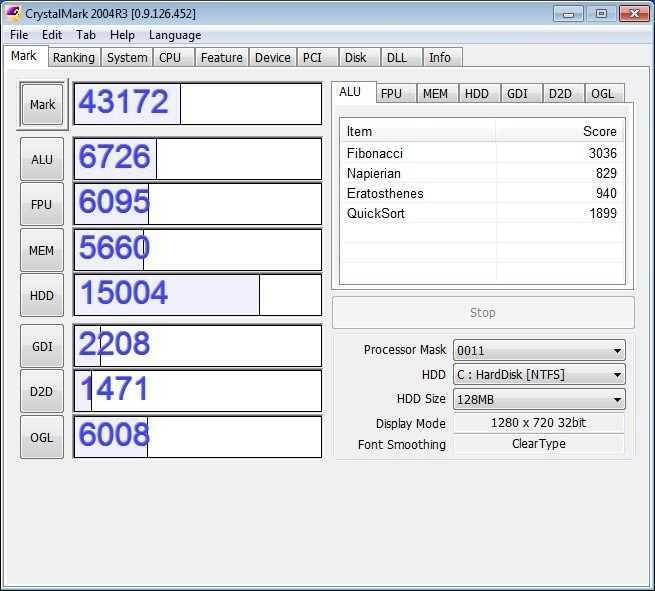 A 1.6Ghz dual-core Atom-based Asus Eee PC 1015pn due to be launched soon clocks in at an impressive 45K. While the AMD-based system is good, it’s not class-leading. I was surprised to see that some of the CPU scores went up so much after the disk and memory swap and I was unable to repeat the 8270 ALU score at a later time but the important thing here is the jump in disk performance. 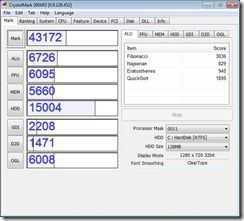 You can see the ‘HDD’ score at 14648 and the sequential read speed at up to 108MB/s which is about double that of the original disk. 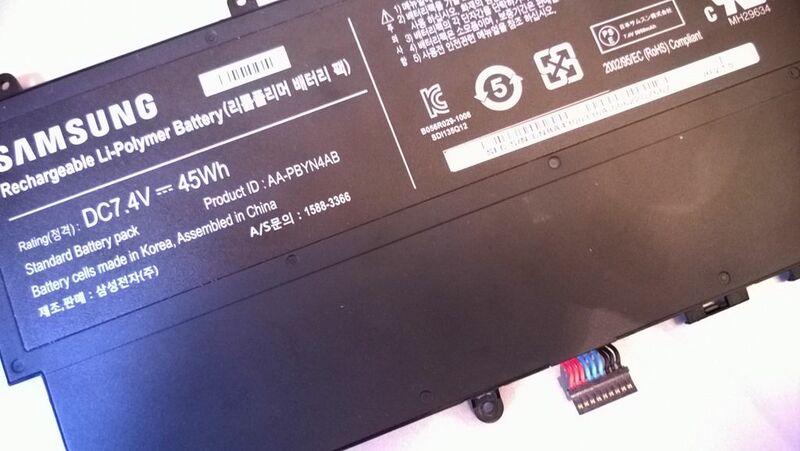 How Do you Upgrade RAM and Disk on the Acer Aspire One 522? Before I show you the results for a fresh 64-bit Windows Home Premium install (which frees up the full 4GB of RAM) let me show you how to take apart the netbook to upgrade it. The video shows my early attempt at taking apart the device so please take note of the annotations because you don’t have to remove the outer casing screws, you don’t have to remove the two rubber feet and you don’t have to disconnect the keyboard. Be careful of the keyboard catches too. I have already broken two of mine and I’ve seen a report from someone who broke all of them meaning the keyboard would have to be stuck down permanently with glue or tape. Statistics are all well and good but how does the device perform in real life with a fast SSD upgrade? In the video below I show the boot-up time and startup times for some common applications. On average, boot-up and application start times are cut by half which is a huge, huge difference. This part of the upgrade is useful on many levels. Importantly, you get to make a fresh install of the OS without the pre-installed services and software from Acer. Secondly, Windows Home Premium opens up more Windows 7 functionality including Windows Media Center, Aero and Themes and, importantly here, the ability to access more than 2GB of RAM. The license cost me about 85 Euros (OEM License) and installation was made on a clean SSD from an external USB DVD drive. After install you should see this in the system settings. With Windows 7 Home Premium 64-bit, 4GB of RAM and the Runcore Pro IV SSD installed, here’s a rundown of performance reports starting with the impressive disk scores which rise 30% above the 2GB, 32bit scores. Yes, that’s a 138MB/s transfer rate, on a netbook! Importantly, the small block read speeds are excellent. The two results were taken at different times with different Windows 7 themes. No differences in battery life, noise or heat were noticeable after the upgrade. There may be a measurable difference in battery life but I estimate no more than 5% gain under full-usage scenarios. Note that on the Aspire One 522, the fan is on nearly all the time. It’s relatively quite but audible in a quiet room. Having 4Gb of RAM available on a netbook is somewhat of an overkill and any applications that might require such memory are also going to require more CPU processing power than is available on the platform. The recommendation would be to buy a 2GB RAM stick although the small extra cost and zero additional effort of buying a 4GB stick means you might as well do it anyway! Remember that hibernation will be much slower with 4GB of RAM than with 2GB of RAM. I’m not seeing clear, end-user advantages yet on the system build here but clearly there are some 64bit-capable programs that might take advantage of it. Cinebench 10 returned 1390 points with the 64-bit version compared to 1290 with the 32bit test â€“ a 7.5% improvement. More testing is needed here and through my ultra-mobile video editing project, I should get some more results. At over 80-euros to enable an extra 2GB of RAM, themes and a media center, it seems a little excessive and is something that needs to be considered carefully. A clean install of Windows 7 Home Starter on a fast SSD could be a better choice unless the user is looking to get every last drop of capability out of the system. 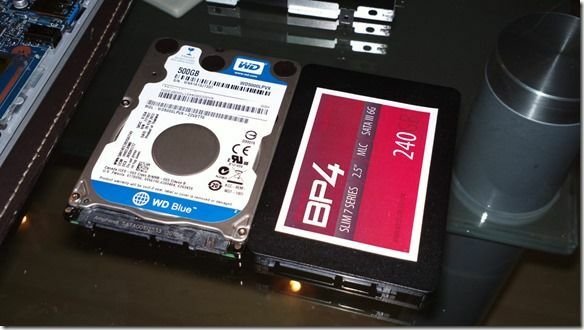 There’s no question that the SSD upgrade brings the best end-user improvements. 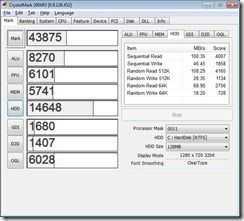 SSDs can be lighter too but the user needs to be careful not to choose a slow SSD (some aren’t built for speed.) I’m currently using a Runcore Pro IV that was loaned to me. I’ve got a 32Gb SSD here (Sandisk SDSA3AD-032G loaned by Tegatech) that weighs 9gm. Thats 100gm lighter than the pre-installed solution and would bring the weight of the 522 down to under 1.1KG which is impressive given the CPU, GPU and battery life. Worth considering. After the upgrades, the device returns much better performance but there are alternatives out there. The Asus Eee PC 1215PN with dual-core 1.6Ghz CPU and Nvidia Ion platform offers excellent CPU and graphics performance and we expect it to be available with 2GB and Windows Home Premium (as the 1.5Ghz version is) for around the 450 Euro mark. 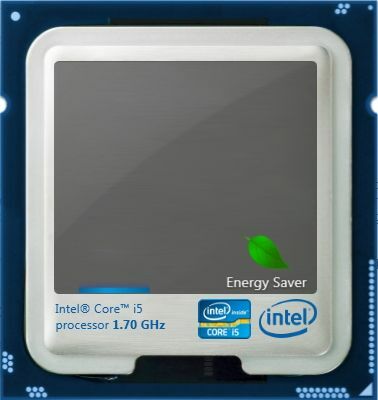 Add the SSD to this and you’re at the same price with a much better performance. The weight is the same although you don’t get the 1280×720 screen. Looking at 12 inch devices it will be interesting to see how the 1215n and 1215b compare. Weight is 200-300gm more but performance gets a big boost. The EeePC 1215b is said to be available for 450 Euros and, it the end-user is happy with 300gm more weight, could be a better buy. 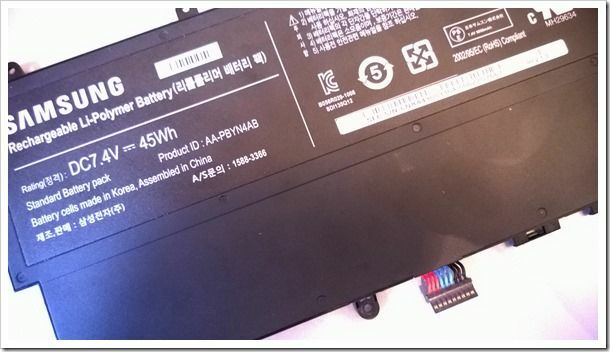 If the user is looking for a good value 10 inch device with HD screen and future upgrade steps, the Acer Aspire One 522 represents a very good deal indeed. Will I keep the Acer Aspire One 522? I’ve been impressed at the ability of the AMD Brazos platform to go to 4GB RAM and 64-bit Windows. 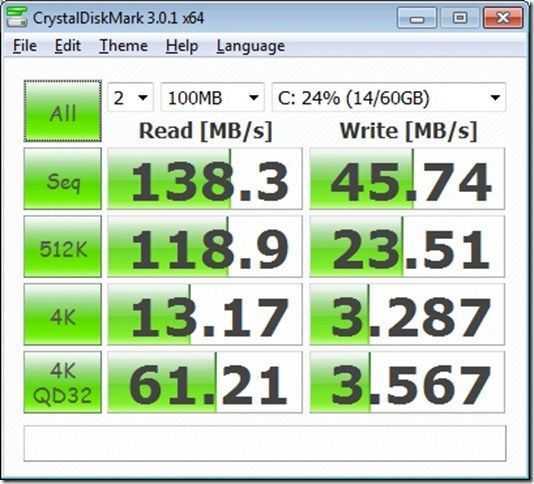 The disk controller also responds well to a fast SSD. Overall, the ‘balance’ of CPU and GPU power is also good. The advantage of going to 4GB RAM is, however, a little over-the-top for a device that really can’t be used for high-end memory intensive work that often requires high-end CPU power. What would make more sense is 4GB RAM in the higher-end Brazos platform with the dual-core 1.6Ghz ‘Zacate’ CPU and the higher-clocked GPU. If that platform can be down-clocked to a similar 1Ghz rate with the same power requirements as the 1Ghz Ontario part you will have an interesting power-efficient platform with a relatively wide dynamic range of processing capabilities. Unfortunately there are no Zacate-based device with the E-350 (Zacate) variant so you’ll have to look at 12 inch solutions with higher screen power requirements and a weight of 200-300gm more. 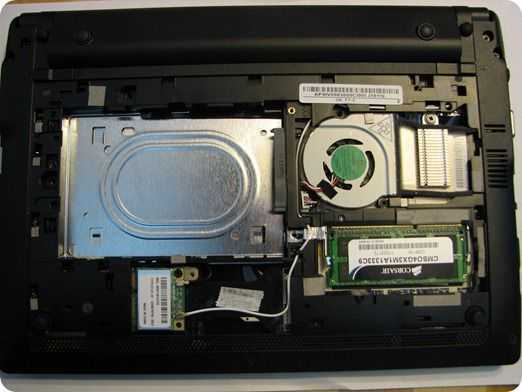 If 300gm is acceptable to you then taking a closer look at the Asus EeePC 1215b will make sense. I’m expecting better battery life and more processing power than the successful Intel-based 1215n making it a top-candidate in its class. I will use the 522 for the time being now though as going back to the single-core N270-based Gigabyte Touchnote is not an option but when the 1215b is available, it will be at the top of the list for my next purchase and test. I’m quite the fan of the Samsung N350. 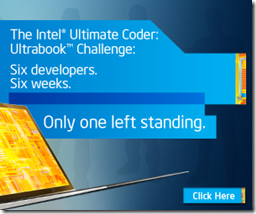 1KG and 4 or 5 hours of dual-core productivity. That’s impressive, especially when you can double that with just 200gm or so of extended battery. What I’m waiting for though is a 3G version because as you’ll see in the video below, RAM and SSD upgrade will be easy but the PCI-Express Mini slot is just a placeholder. No connector or antenna. Looks like I’ll be waiting for a 3G version although with the Galaxy Tab giving me an estimated 8-10 hours as a 3G hotspot, maybe I’m covered! I’ll see if I can get hold of an N350 for deep testing soon. Ultra Mobile Computing Buyers Guide PDF. I had hoped to get a big big updated version of the mobile computing guide out before the end of 2009 but time was definitely not on my side. I’ve done a lot of work on it but it’s going to take many more hours before it’s finished. In the meantime, the late 2008 version is still available as a re-flowable PDF and is still worth reading if you’re thinking about buying a mobile computer, tablet, MID or other mobile computing device this year. Click on the image to download the free 28-page PDF. If you want to view it online, use the links below. If you find the buyers guide useful, think about donating. It all goes back into making UMPCPortal a better place. 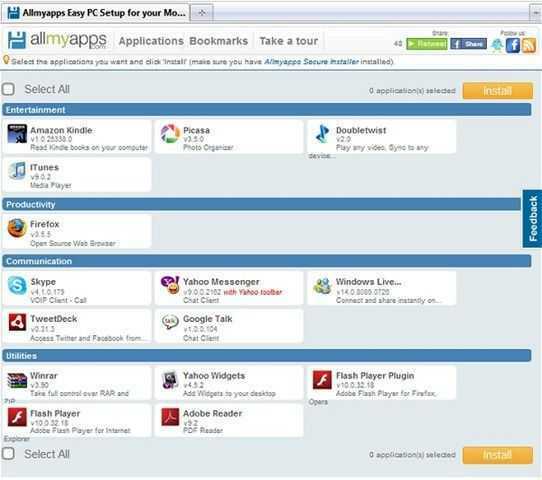 One-Click Online App-Installer from AllMyApps. Your Feedback Will Help MID/UMPC users. 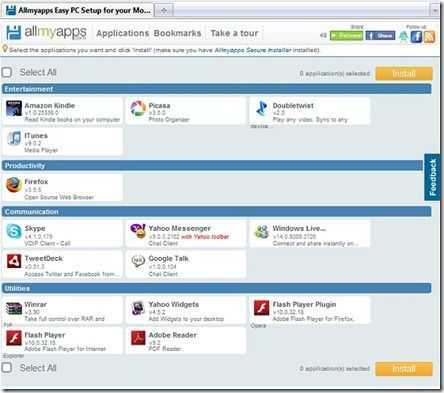 AllMyApps, with the support of Intel, have launched a helpful one-click online app installer for small-screen windows devices which looks like it might make a nice stop gap during the wait for the real applications store. There’s no feedback, monetisation, rating or suggestion mechanism here but it’s a good first step for new ultra mobile PC and MID users. 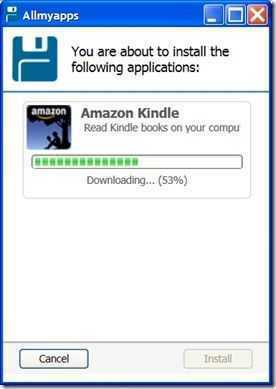 You install a small application which enables one-click download for any of the available applications. The service currently only supports Windows XP although it could work with Vista and 7. I haven’t tested it on those systems. I’ve spoken to the developers about feedback and, of course, they’d love to hear from us so may I suggest that you ultra mobile PC users out there propose applications (and improvements) that AllMyApps could add? Lets help the new users. I’ll gather up the results and ship them off to AllMyApps. Remember that there’s a Wakoopa ultra mobile PC group that a group of ultra mobile PC users use to monitor ultra mobile PC application usage. I suggest that ultra mobile PC users consider joining up. The tiny tracker runs quietly in the background and really helps us to discover new applications.